With six cookbooks to her credit and numerous awards, Luchetti has helped to define what great pastry in America means. As chief pastry officer for Big Night Restaurant Group, she oversees the pastry operations for the Cavalier, Marlowe, and Park Tavern. Prior to that, Luchetti was executive pastry chef at San Francisco’s Farallon since its inception in 1997 and at Waterbar since it opened in 2008. She began her culinary career on the savory side of the kitchen at San Francisco’s legendary Stars restaurant before switching to the sweet side three years later. She was the pastry chef at Stars for seven years and also co-owned the retail bakery StarBake. Luchetti’s honors include the 1998 San Francisco Focus Magazine Pastry Chef of the Year, the 2001 Women Chefs & Restaurateurs Golden Whisk Award, the 2003 Food Arts magazine Silver Spoon Award, and the 2004 James Beard Foundation Award for Outstanding Pastry Chef. From 1994 to 1999, she served as chairperson of Women Chefs & Restaurateurs, and currently serves as a dean of the International Culinary Center in California and New York. 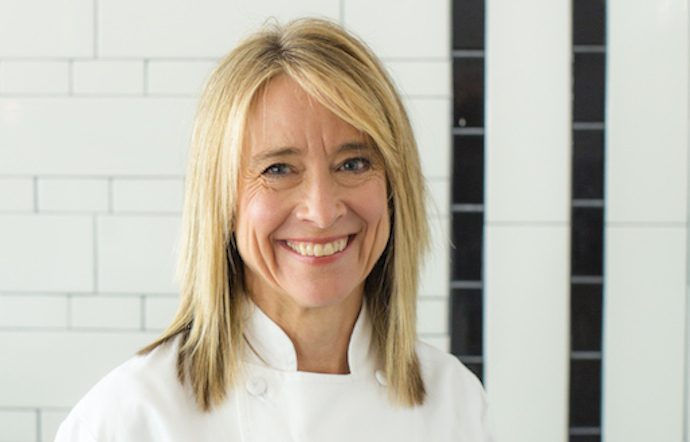 In 2009, the San Francisco Chronicle chose Luchetti as one of 20 Visionary Chefs in the Bay Area, and she was inducted into the Culinary Pioneers of America. In 2012, she was inducted into the James Beard Foundation Who’s Who of Food & Beverage in America. Prior to being named chair of the JBF board of trustees, Luchetti served on the Foundation board for six years, three as vice chair, and as chair of the James Beard Awards Committee. She is the founder of #dessertworthy, a social media movement aimed at increasing mindfulness around sugar consumption.